7 years, 1000 drafts (with 1000 more re-writes), 4 writing holidays… and it’s done. Rare Birds is finished! Tonight I’m celebrating with a glass of champagne as the manuscript of my first novel goes off to the editor. Thank you to everyone for their support and enthusiasm over the years since I first drafted this book in 2009, especially during the last few weeks as I cancelled all social plans to get over the last hurdle! My amazing editor is Zoya Patel (Editor and Founder of Feminartsy, former Editor-in-Chief of Lip Magazine) who’ll be helping me refine the manuscript before I send it to a literary agent. Zoya is a highly experienced writer and editor, who in 2015 was was named ACT Young Woman of the Year for her commitment to raising the profile of women’s voices in the media. 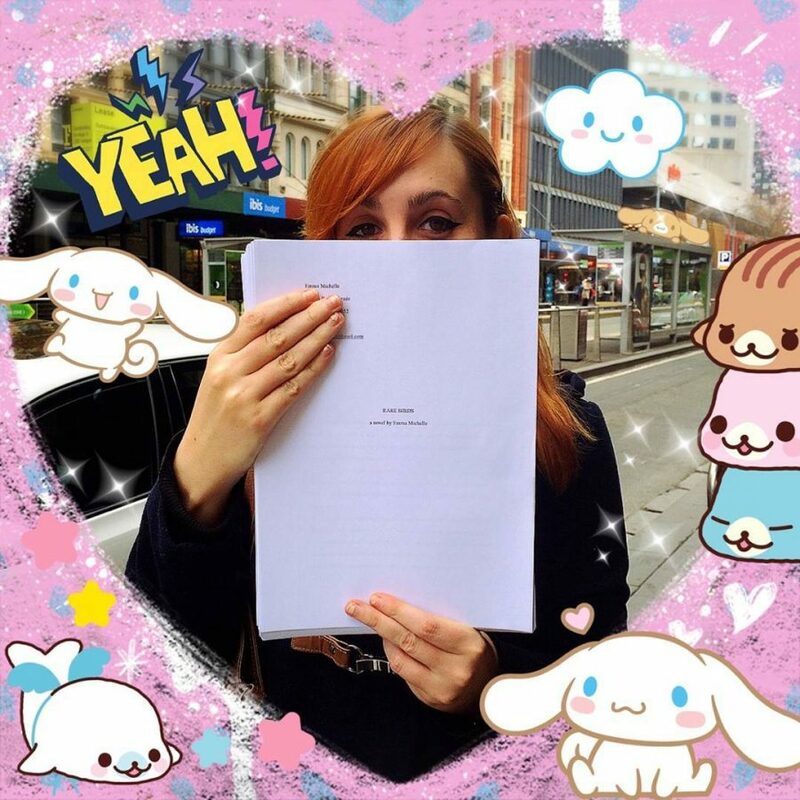 Zoya was also a selected editor for Seizure‘s Viva La Novella Prize in 2015, and the book she edited (Welcome to Orphancorp by Marlee Jane Ward) won the 2016 Victorian Premier’s Literary Award for Young Adult Fiction. More news to be posted here once the manuscript is finalised and sent to an agent… But now it’s time to celebrate! Finally finished! You should be very proud. I can’t wait to hold your book in my hands and find a place in my permanent library. Dad & Mum very proud!